This time of year there is nothing better then getting cosy in the evenings in front of the tv with candle light flickering in the background. All the better if there is a fresh smell of Christmas to get you in the mood. H&M has proved that good design and quality does not need to be expensive and their current range of scented candles is no exeption. Starting at just £3.99 they have a huge selection with scents including pine, bergamot, fig and cinnamon. Head to hm.com or visit in store. With their moto ‘discover the unusual’ Hurn & Hurn are a great online homeware and design online store featuring not only leading brands but also smaller brands and new designers. There is a large range of products to choose from, including some great pieces in the sale. There is lighting, homeware including kitchenware, ceramics and glassware, gifts and accessories. Brands include LSA, Magpie, Orla Kiely, Pols Potten and Wild & Wolf. Their sale section is a must for top brands at great prices and it’s definitely a perfect place for on-trend wedding gifts that will always be well received. 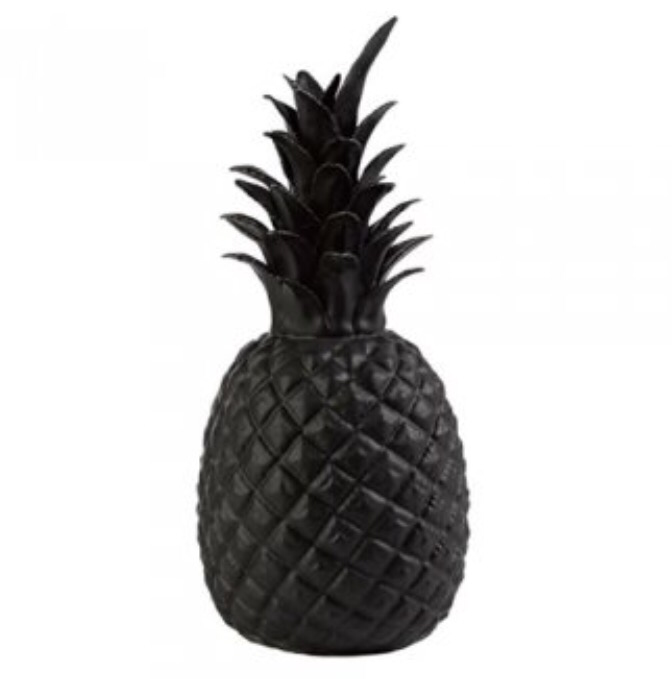 There’s an abundance for monochrome fans but our favourite is the matt black pineapple! Look out this Summer for some great vintage and mid century markets, and after last week’s we have found another. This times it’s Judy’s Vintage Fair and runs all over the UK arriving in London once a month. If your looking for something kitsch and collectable then don’t miss out.